To visit the official April Evans website, click on above photo. 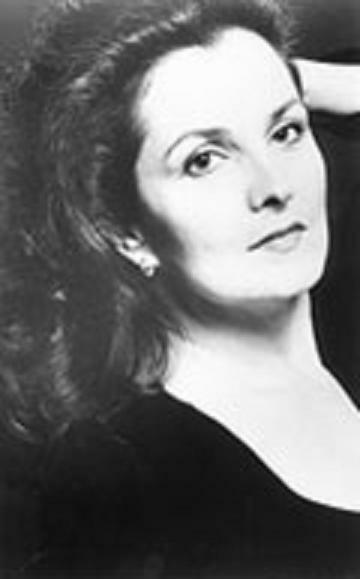 To hear and see April sing In questa reggia, from Giacomo Puccini's Turandot Part 1, click here. To see and hear Part 2, click here. Hayden Wayne--on meeting April Evans--I met her approximately thirty years ago within our musical community. We would, so many times, find ourselves talking and laughing about the business and expressing our excitement about music and performances by our friends and colleagues we admired. We also respected we each for our personal dedication and hard work as we refined our craft. It’s not a surprise, while I was composing my DRACULA (opera erotica), I wrote the role of Mina with April’s voice in mind. In 1993, I first wrote Mina’s final aria, MY LOVE, to see whether I could succeed in my mission. Insecure and yet hopeful, I called April on the phone and told her about what I had done, asking if she would like to see the score. She obliged and came over to my apartment. Agreeing to go into a studio and print her performance singing to an electronic realization of the fully orchestrated score, we created this sound bite. Listen to April sing My Love! !